An Affair Of The Heart – Coming to Blu-ray and DVD July 16, 2013!!! Remember when you forgot Rick Springfield? These fans never did. And now, thanks to the tireless efforts of a few – and the passion of many – the whole world has a chance to fall back in love again, and join the rest of us on the Yellow Rick Road! The Mind Reels jumped onto the YRR mere moments after the opening credits began at the documentary’s premiere screening during Toronto’s Hot Docs Film Festival in 2012. 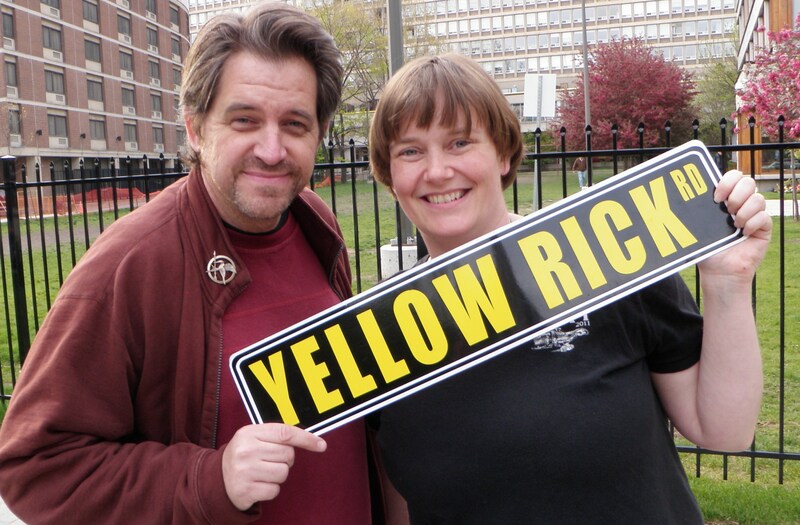 Rick, his fans, and the film itself won us over completely, and we’ve been on board ever since. The first evidence of that statement can be found in our original review. Now, after countless festivals, concerts, appearances and recognition the world over, the time has finally come for director Sylvia Caminer’s An Affair Of The Heart to find its way home – your home, in point of fact! US preorders are being taken at Amazon.com here, and anyone outside of the United States can place orders directly at the film’s website here. So don’t wait! Preorder your copy now to remind yourself of what’s most important in the world today, revisit the soundtrack of your youth, fall in love with a genuine gem of rock and roll – and get yourself on the Yellow Rick Road today!